Sales people have been taught the importance of the numbers. The number of dials made each day, contacts made, and presentations scheduled, are all metrics sales professionals have had baked into their thinking. You want more sales, make more dials. You want more presentations, make more contacts. We grind it out every day focused on persuading, manipulating and influencing the prospect just enough to get them to see things our way and then…BAM…a sale is made. I refer to sales people that fit this description as coercive contactors…make the contact and then through sheer force of will, or fear-selling, make the sale. But times are changing. The buyer today is far more educated than in the past thanks in large part to the internet. Most agree that a majority of the buying process is completed before a buyer ever meets with a sales person. How did this happen and what does it mean to you as a sales person? Google has changed our world. In a couple clicks of a mouse we can find information on virtually any topic or question that we could dream of asking. Volumes upon volumes of data and content reside on the web, there for the taking. In the comfort of our homes and offices, cars or restaurants, we have 24/7 access to all the information we could possibly need to make informed decisions. For the typical sales person this poses a huge threat. Most of us were trained in the art of persuasion, manipulation and influence, in order to bring the pain the buyer is feeling front and center. And while shining a light on the buyers pain isn’t wrong or inappropriate, it is a less effective selling tool if the sales person doesn’t know what to do with the buyers pain once they’ve identified it. You see, buyers have a much better sense today whether your solution will actually help them. They’re no longer completely reliant upon the sales persons power of persuasion and instead draw from their own research and education as to what may improve their circumstance. Whether it’s an outsourcing solution to improve business performance or a new medication to improve your health, just about any information you’re looking for is available via the web. As such the dependency on the sales person has evolved from a pitch person to a “caring connector”. A caring connector is how an authentic sales professional presents themselves in what they say, how they say it, what they do, and how they act. Forget about the super slick, fast talking sales dude. Today the successful sales pros are ones who take the time to listen, ask thoughtful questions, and perhaps most of all, be honest enough to tell the prospect just how helpful their solution will be. They demonstrate genuine care in how they connect with the buyer. This is a huge mind shift in sales. In fact, many recent studies conducted by Harvard Business Review, as well as, in many books authored on sales including Jeff Thull’s recent Exceptional Selling, show proof that being willing to walk away from a sale because there’s simply not enough value there, actually enables you to sell more. The premise is that once someone trusts that you have their best interest at heart, and in mind, they’ll come back to you again and again. Additionally, once you’ve determined that there is little value to the prospect to move forward with your solution you stop forcing a sale and move onto the next opportunity, again freeing your time to engage with a buyer whose needs and circumstances better align with the value you provide. So try it. Try shifting from that coercive contactor to the caring connector and watch your sales grow. In my previous blog post I talked about a selling strategy that helps to eliminate lost sales. Lost due to a disconnect between the prospect and the sales person. A communication miss fire on either end is responsible for every sale not made. If the sales person is communicating and observing the prospects response, or reaction, there should be no last-minute surprises of lost business. In fact, if you were really honest about it, most of the time you knew deep down that sale was going nowhere. But the sales gods have been clear for decades that you never give up, never walk away, always be closing, and never take no for an answer. If you’re into self-deprecation that might be exactly the approach you’re looking for. But for those of us who are interested in transcending the age-old image of a product pusher to one of a true sales professional, looking for the “no” is how you should approach each sales opportunity. Curious. The first thing a doctor does when he/she enters an exam room is begins asking questions. What’s going on? When did it start? Is it like this, or like that? Do the symptoms increase in intensity during certain times or are they constant and unchanging? 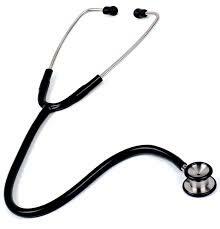 The doctor is beginning to diagnose your problem. Asking questions, no matter how uncomfortable they may be, is the first step to a proper diagnosis. Thoughtful. In my experience (and to be completely honest I believe I have the world’s greatest doctor) great doctors never provide knee jerk responses. They go through their diagnosis phase and take a moment to process the information they’ve just gathered. Sure this process step may take seconds, but in most cases pay attention the next time you go to the doctor and watch for that “medical processing pause”. This refers to the time it takes for the doctor to thoughtfully provide their assessment and prescribe next steps. Prescriptive. Depending on the assessment of what’s wrong with the patient the doctor may have one to many different prescriptions to offer the patient. The prescription may not be solely medicine related. A doctor may prescribe physical therapy, or eliminating a specific food from your diet. He/she may also prescribe a mobility aid such as crutches or a walker, or even a sling or splint depending on the injury. The point is that in many cases there are a variety of paths forward and the doctor presents these options in the form of prescriptions. Honesty. This element of the doctor-patient relationship is the most important. No matter how good the doctor is, if there is no trust that exists between him/her and the patient the above 3 ingredients are useless. By the time the doctor gets to the prescription phase of the patient examine, he/she is presenting options along with their personal choice. How many times have you heard a doctor say, “if you were my son”, or “when my mom went through this we decided to do…” The trust and honesty that exists between a doctor and patient – their ability to communicate transparently with one another – is the ingredient that results in the patient’s ability to improve their condition. The relationship between a doctor and patient exists for one of two reasons: to fix something currently broken, or to avoid something breaking in the future. Isn’t that the relationship between you and your prospect? The prospect has either agreed to meet with you because something in their business is currently broken or because something may be changing that may cause something to break that they’re trying to avoid happening. Regardless of whether it is a current problem or future, follow the 4 steps above and you’ll find a more engaging, trusting, and action-oriented relationship develop between you and your prospect, soon-to-be customer.